Life insurers have the opportunity to take calculated risks to change how the industry acquires customers and provides services. What are wearables, who uses them and how can they be used in insurance? “Wearables” are electronic devices worn on the body that generate, store and electronically forward biometric data in real time to smartphones, tablets, laptops or other electronic devices. 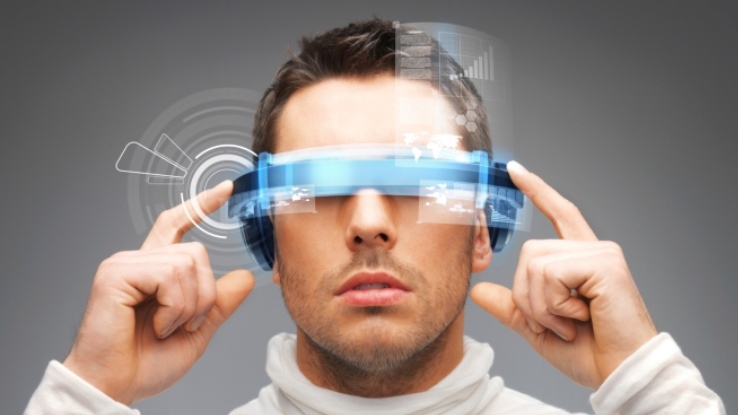 What information do wearables provide? Wearables provide a wide variety of biometric data including: EKG and arrhythmia detection, pulse and variability, blood pressure, respiration information, blood sugar level, muscle activity, sleep patterns, body temperature, blood oxygen levels, skin conductance levels, brain activity, hydration levels, posture, eye tracking data, ingestion and fertility information. Demographics from a Nielsen report indicates that almost 50 percent of wearable technology owners are between the ages of 18-34 with almost a third having annual incomes of over $100,000. This is an extremely attractive target market that statistics show is underinsured by billions of dollars. How is the data used today? Fitness monitoring is a common use for wearable devices. Microsoft, Google, Samsung, Fitbit and many others are scrambling to catch Apple in this new and lucrative market. In 2014, world-wide revenue from the sale of wearables was roughly $4.5 billion. 2015 expectations are that sales could triple, fueled for the most part by the Apple Watch, launched in April 2015, says Andrew Dart in “The Case for Connected Wearables,” Asia Insurance Review. Games are commonly used in these wellness programs including competitions with rewards such as cash incentives, discounts on health care items, and charitable donations linked to achievement levels determined by the wearable biometric data generated. The Internet-of-Things includes telematics used in automobiles. It is basically a wearable device for your car. Property and casualty insurers are using telematic device data today for automobile coverage. Discounts can be earned provided the data shows good driving habits, and higher premiums are being charged if adverse data is developed. Speaking at an industry conference, Direct Line’s group marketing director, Mark Evans said, “We use technology for motor insurance; black boxes [in cars] enable people to get discounts because they can tell us they are safer drivers. You move from claims data to actual data.” Evans was referring to telematic data. The time of day, location, temperature, weather conditions, acceleration, braking, speed and hard cornering can all be tracked. The Internet-of-Things biometric data from wearables has protective value that can be utilized by life and living benefit insurers for marketing as well as risk assessment purposes. The veracity of the data generated is a concern since fraud could easily be accomplished without sufficient steps in place to prevent it. ID verification measures could include retinal scanning, fingerprints, or other unique identification criteria. Strapping a Fitbit onto your dog and letting him run around the backyard could be quite tempting if the cost savings from the data generated were substantial. Fitness monitoring devices are not considered medical devices and therefore are not regulated by the U.S. Food and Drug Administration (FDA). That being the case, the precision of the data can be dependent upon such things as the manufacturer, conditions of usage, customer’s physical size and condition, and the quality and functionality of the specific device. Given the conservative nature of the insurance industry and its resistance to change, these concerns will cause slower adoption of wearable data than use of the devices by the general public. Some in the industry have expressed privacy concerns about wearable data. “All of a sudden, everything you do and everything you eat, depending on which bits of the information they collect, is sitting in someone’s database,” says Anna Slomovic, lead research scientist at the Cyber Security Policy and Research Institute at George Washington University and a former chief privacy officer at Equifax and Revolution Health. This is a key hurdle to overcome. Research shows millennials are more likely to be willing to share data than their older counterparts. However, individuals still want to know what insights are being generated from the data being collected and want to selectively share with insurers based on the perceived value they get back. They also need to know that the data continues to be secure and private once shared. Apple is addressing this with a product called HealthKit. It was developed to serve as the governing system so that only appropriate parties receive the data. HealthKit trials are under way at Stanford and Duke Universities. Google, Samsung and several others have also been working on the issue. It is clear that the question of data privacy is a priority issue being actively answered by the technology companies offering wearable devices. Munich Re’s clients have stated that data security and privacy are top priorities in determining if and how data is integrated into their business processes. How can the data be used for life and living benefits insurance purposes? Marketing – Actively approach preferred potential customers identified through analysis of biometric wearable data. This changes the insurance sales paradigm 180 degrees: historically carriers waited for the applicant to apply for coverage. Risk assessment – Use wearable data to determine the risk class for underwriting of the applicant. This offers a far superior customer experience to the traditional underwriting requirements such as fluid testing, medical records, stress tests, etc., which can take weeks, if not months, to obtain, are inconvenient to the customer, and more costly to carriers than data. Munich Re has done extensive research on the mortality impact of removing fluids from the underwriting process. We believe the mortality and morbidity increases caused by the removal of fluids in underwriting can be significantly, if not completely, offset by the proper utilization and analysis of data. In-force management – Data analysis could be used to improve retention of quality in-force business. Instead of letting profitable business lapse and be written with another company, carriers could offer premium discounts to entice less risky customers to remain and increase rates for poorer risks to more accurately price the risk or encourage it to move elsewhere. A leading insurer in the U.S. recently launched a program to incorporate wearable device data into life insurance pricing. Insureds can qualify for rate discounts as well as discounts and rewards from retailers for taking steps to improve their health. A free Fitbit is provided to the new policy holder with the data generated used to determine rewards for the insured. Disability income claims management – Wearable data could be used in conjunction with medical professionals to manage and reduce claims through faster recovery times from rehabilitation and exercise programs. From an underwriting philosophy perspective, the value of wearable data is clear, but the data will need to be used to generate statistics for actuaries to create evidence-based protective value studies. As mortality, morbidity, and persistency experience emerges, assessments will be developed cross-referencing medical research with the resulting impact on insurance pricing, leading to more accurate pricing of the risk. New biometric wearable devices are being developed using nanotechnology and molecular analysis to detect such diseases as cancer and blood disorders long before they are clinically detectable. When this technology is available and adopted, the resulting implications on insurance pricing will be powerful. Appropriate product design utilizing wearable device data will be crucial. Rather than using the data for initial underwriting purposes, a post-issue rider where the insured would qualify for a discount after forwarding the data would seem appropriate. This addresses any legal issues with the initial risk assessment and the incentive for the insured to qualify for better rates when the policy is initially underwritten, and then adopt or revert to poor lifestyle habits after the policy is placed. This post-issue information could also be used to influence which customers the carrier would like to keep on the books. For example, through data analysis of customers approaching the end of their level term period, the writing company could accurately target customers for retention incentives. Riders for other products such as long term care and critical illness could even be offered through analysis of insured wearable data. The legal parameters for utilizing wearable device data for life insurance purposes are being determined. This is true for all areas including marketing, risk assessment, administration of in force business and claims processing. While we believe that the use of such data will eventually become commonly accepted, there is a good chance this data will initially be restricted or prevented from use for underwriting purposes in the United States. The U.S. Fair Credit Reporting Act states that information must be verifiable and contestable in order for insurers to use it for risk assessment. Stringent user identification processes will be required. Even if regulators decide that the life insurance industry can use this data, public perception and adoption will be a determining factor on the level of success seen with any insurance program designed to utilize wearable data. People will need to see the value and agree to provide personal biometric data to insurers for a program to be successful. Linking wearable biometric data to electronic health records and other material such as nutrition information offers additional value to wearable products. Through a partnership with the Mayo Clinic, Apple Watch data can be integrated into hospital electronic health records. Predictive modelling based on wearable biometric data is a logical next step for the insurance industry and is, in fact, already underway. Insurers can actively approach groups to solicit business with a higher level of confidence that it will be profitable through the analysis of wearable data.